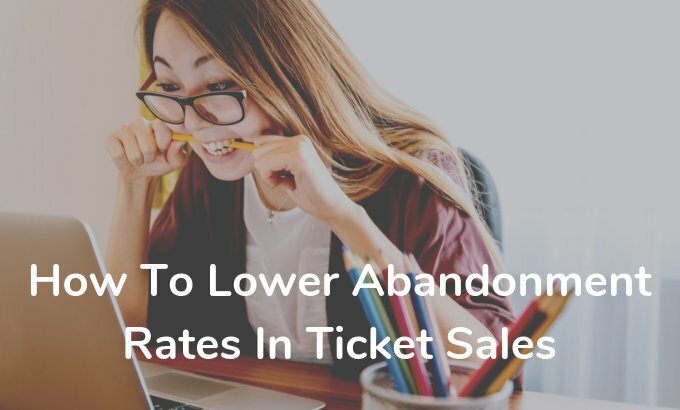 What do abandonment rates in ticket sales mean? In the ticketing industry, the cart abandonment rate is defined as the percentage of people who visit your, or a partner site’s, ticket sales channel, add one or more tickets to their basket, but don’t proceed to complete the purchase. Since abandonment rates are directly related to ticket sales and revenue figures, they’re a key metric for firms to monitor. While there’s little research on the exact benchmark for abandonment rates in ticketing, it’s generally accepted that it is slightly lower than the e-commerce industry’s average rate of 75%. Furthermore, this metric can vary depending on industry, device and sales channel. This means that tracking this data can give companies valuable insights into what works best and where improvements are needed. Why do people abandon sites without purchasing a ticket? There are multiple reasons for users abandoning your ticket purchase flow. Some of them are very natural. Some customers access your purchase page with the sole intention to check prices, or they may be competitors and other businesses analysing your sales process that would never complete the purchase flow anyway. That’s why abandonment can never be fully eliminated – since these activities can’t be avoided. However, there are several major abandonment drivers that you can influence directly. The image below shows the four most common reasons for customers pulling out of your check-out process. In summary, 41% of abandonment is down to unexpected costs, such as shipping price, administrative fees and other hidden charges that occur during the checkout process. This reason is closely followed by poor user experience (UX). UX can be comprised of many setbacks such as an overly long checkout process, forcing users to register on a CRM system before purchasing or a confusing purchase flow. The lack of proper delivery options (next day deliveries and physical pick-up options), or information about them, presents another major stumbling block. Finally, the last step in the payment process can be a key factor in customer abandonment rates. If you lead users to third-party websites and tools they are suspicious of, they’ll obviously be extremely hesitant to enter their credit card details and complete the purchase. Similarly, not offering customers a range of payment options, including their favourite platform or provider can also prevent people from completing their ticket purchase. Of course, many other reasons exist, but those mentioned here are most prevalent. According to our data, virtually half of ticket portal visitors are accessing your site via their mobile phones (50.7%) and this figure is rising every year. This is in line with the global trend: people are spending the majority of their time on smartphones. Even Google has acknowledged this trend and has shifted to a mobile-first indexing method. What’s more, research shows that abandonment rates for mobile phone users (85,65%) are typically higher than for tablet (80,74%) or desktop users (73.07%). This shows that the future of positive customer experiences and the consequent boost in conversions lies in mobile. 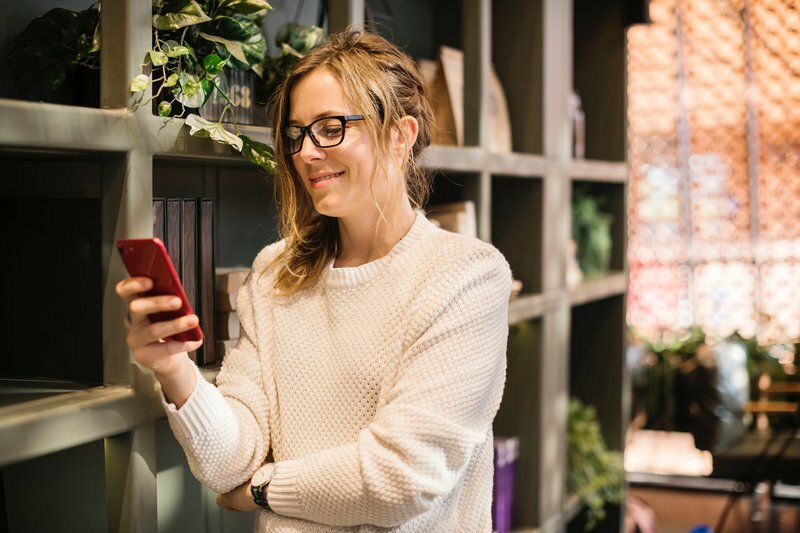 It’s crucial for ticket vendors to make it simple for customers to complete the checkout process from all devices, but especially for smartphones. People who want to buy tickets for your event or exhibition don’t want to spend their whole afternoon doing so. Time-consuming checkout processes that force users to navigate multiple pages and enter volumes of personal data will put many off. Think of each question or data entry as a possible reason for a user to leave your site and find a competitor, and streamline your booking flows accordingly. As a general role, always make your process as short as possible. If multiple stages are unavoidable, at least add a progress status bar so users can see how far along the process they are. 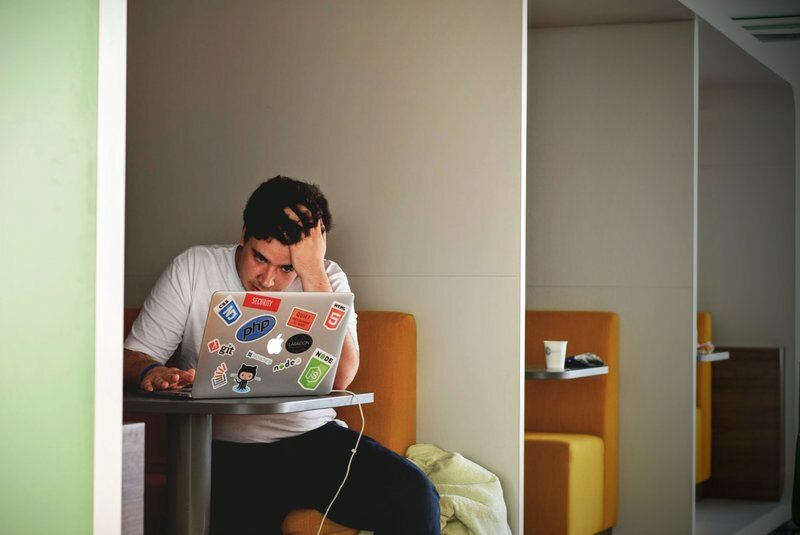 Finally, above all, don’t force users to sign up to your CRM before buying, as research shows this causes 29% of users to abandon your site at check-out. 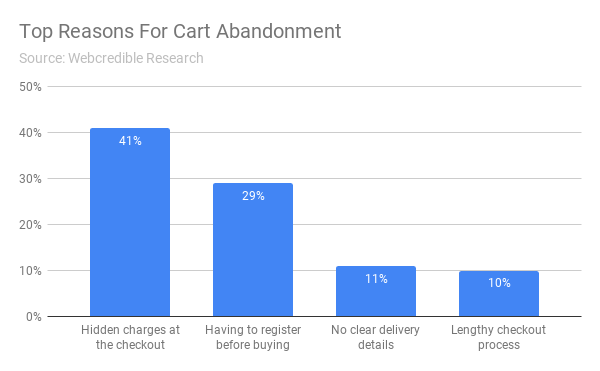 41% of cart abandonment incidents are caused by hidden charges. In the age of spam, phishing attempts and other worrying and irritating online scams, customers have increasingly become wary of doing business online. As a result, make sure your customers don’t feel tricked by your booking flow. Be straightforward and honest about your costs from the outset. If you’re charging administration, delivery and registration fees, be clear about those from the get-go, or consider including it in your overall price structure in the first place. No one likes an expensive surprise, and if you spring one on your customers at the final moment they’re likely to go elsewhere. Often, customers access your site in order to buy tickets for events that take place in the future – maybe it’s for a festival in a year’s time or a sports match that’s months away. Taking that into account, a significant barrier to completing ticket purchases that places a cap on conversion rates is a lack of a ‘way back’ or ‘insurance options’. Of course, sometimes life gets in the way and people can’t attend the event they’ve booked tickets for. So to reduce abandon rates, make sure you account for this and clearly explain your refund policy on your booking pages, whatever it is. Make it simple to cancel bookings or request a refund within a particular time frame. If those aren’t possibilities, consider partnering with a legal ticket resale or swap service so customers have options if that birthday party, family commitment or work trip get in the way of attending the event. Whichever you choose, communicate it clearly to customers during the booking flow. People want to pay for tickets via their prefered method or platform. Thus, ensure that you offer payment options that are most popular amongst your target audience. For instance, in Europe, digital wallets like Paypal as well as bank/debit cards are the favourite payment options. But don’t miss out on local trends and less popular methods to account for different buyer personas. Furthermore, always make sure that the process is as simple as possible. Again, learn from Amazon’s one-click purchase settings. To take this one step further, you could even consider using credit card reading apps and other plugins that speed up the process and limit the amount of user input needed to buy your tickets. Finally, offer customers the option to register on your platform to make future purchases even simpler by saving their payment information (just make sure it’s GDPR approved). By personalising and streamlining your booking flow in this way, you’ll help encourage your customers to trust your site and complete their payment, meaning a push for your conversion rates. In spite of your best efforts, customers will always have unique and specific questions that you may not have covered within your landing pages, T&Cs and FAQs. Offering great and responsive customer service is an excellent way to tackle this issue, and build lasting relationships of trust with your customers. A way to manage this if you have limited human resources is to consider using chatbots or live chat apps like Intercom or Drift. These help your team to reply instantly to any queries and make sure your customers get all the information necessary to make their purchase. This is particularly useful when it comes to first time customers that may not be familiar with your product or service, and need extra details before you can successfully convert them from a prospect to a lead. By equipping them with these details via a pleasing and informative interaction, you’ll lower the possibility of users leaving your site at the final moment in frustration or confusion. There’s no better customer to target than those that have already looked at purchasing a ticket to your event on your site. Therefore, make sure you run smart retargeting campaigns to boost ticket sales efficiently. Additionally, if those abandoning their purchases on your website are registered customers, take advantage of your point of contact with them by considering following up with a message that might provoke them to make the sale. In fact, data shows that sending an abandonment email one hour after a customer leaves their digital shopping basket can trigger a 2.9% conversion rate. Though this may not sound like a deal-breaker, the accumulative effect of these revenues can be substantial, especially if you take into account the comparatively low cost of setting up email automation systems that check up on hesitant customers. If you’re looking to boost ticket sales, improve the UX of your online booking platform or streamline your payment flows, Onebox are here to help. We can help you deliver exceptional experiences to your end-customers via our UX experience service which allows you to personalise UX for particular audiences, meaning both your business and your customers benefit. Our ticket distribution system is optimised for all devices including mobile, can help you offer an online ticket booking experience that keeps abandon rates low and customer conversion rates high. Get in touch to see how we could help you realise your potential.